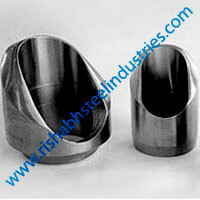 Rishabh Steel Industries is an ISO certified company. We stand by the principles of quality and safety, and we have devoted ourselves to precision. 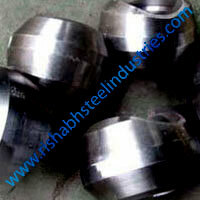 Rishabh Steel Industries has given an impetus to various industries during the last three decades. We have always focused on delivering outstanding products and extraordinary services. We invest in better resources and reliable technology and machinery. We are manufacturers, suppliers and exporters of Carbon Steel Olets which are capable of functioning in temperatures that range from ambient to high temperatures. 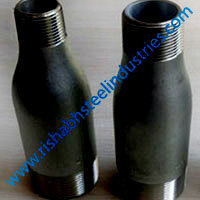 Carbon Steel A105 Sockolets are low Carbon olets that are very ductile and give a 90° branch on the pipe run. 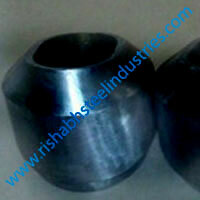 They are class 3000, 6000 and 9000 and are most capable of joining small bore pipes to larger size main runs. Our Carbon A105 Steel Weldolets are formed through forging and can be normalised to remove the internal stress. 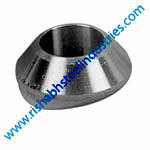 They are not cold worked but CS weldolets are an inexpensive alternative to CS Tees. Readily machinable and weldable, our CS A105 Elbolets connect large diameter pipes and are often fixed to thermowells which work at highly fluctuating, elevated temperatures. Also We offer wide range of Carbon Steel ASTM A105 Olets such as A105 F5 Carbon Steel Weldolets, Carbon Steel F9 Threadolets, A105 F11 Sockolets, A105 F12 Carbon Steel Elbolets, Carbon Steel F22 Latrolets, A105 F91 Carbon Steel Nippolets etc. 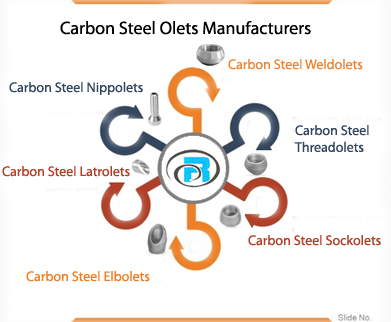 What is a Carbon Steel Olets ? 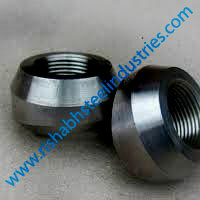 Rishabh Steel Industries is one of the leading manufacturing houses for high quality Carbon Steel Olets Fittings, which allows to be matched for corrosion resistance with the austenitic and ferritic steel grades. 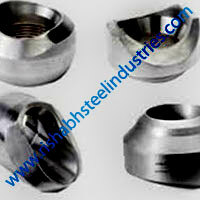 Are you Looking for Carbon Steel Pipe Outlets Manufacturer? End of Carbon Steel Threaded Outlets protected by plastic Strip. A Wide Range Of the Best Quality ASTM A105 Carbon Steel Olets, a105 Olets price list, carbon steel outlets price, Branch Connection Fittings, Outlets Pipe Fittings, Branch Connection, Olets Fittings, MSS SP-97 Olets, Industrial Olets, Outlets Fittings, Swagged Nippolet, Insert weldolet, Branzolet, Coupolet, Sweepolet, Flangeolet, Branch Outlets Fittings, Pipe Outlets, Forged Branch Outlets Fittings, Threaded Pipe Outlets, Manufacturer, Supplier in India.